NCERT Admit Card 2018: The National Council of Education Research and Training has announced the issue on NCERT Admit Card on 10th January 2018 belongs to AHM, TGT, PGT recruitment examination process. The applicants who had successfully completed the application process and waiting to participate in the exam then download the NCERT Admit Card from the official website of the organization. For this recruitment, the examination will be held on 21st January 2018, 28th January 2018, 10th February 2018. So we advise every applicant who will appear for the exam then download the admit card 10 days before the exam. To download the admit card candidates need to register into the organization website using username and password. Applicants can also download the hall ticket from this article directly through below provided a link. To know more details about TGT, PGT, AHM and other recruitment details check the official notification of National Council of Education Research and Training(NCERT). More information about the NCERT Admit Card 2018 has given below. The National Council of Education Research and Training Headmaster, Trained Graduate Teacher(TGT), and Postgraduate Teacher etc recruitment admit card is available now to download. The organization will officially release the admit card on their website. Every year NCERT had recruited the huge count of candidates to fill the various vacancies. In the same way this year also it had released the employment notification for various positions. After the examination process, the result date will update soon in this article. Applicants will need to check the information in admit card or hall ticket when it’s downloaded because there will be small mistakes. If have any corrections then inform the management of NCERT for a better way. Visit the Sarkari Recruitment for more updates of NCERT. To participate in the PGT, TGT, AHM and some other posts recruitment process every applicant will need to carry the NCERT Admit Card. The NCERT management will not allow the candidates to exam center without admit card. So guys get the admit card at least one week prior to exam date. Applicants need to carry any identity documents like Driving license, voter id etc along with admit card. We have provided the All India Exams Admit Cards through this article for interested candidates. And more details about NCERT Recruitment like notification, important dates, steps to download the admit card, important documents need to carry for the exam, and important details about the admit card have declared clearly below. The National Council of Education Research and Training(NCERT) will go to conduct the recruitment process to recruit the candidates for TGT, PGT etc. In this process, the organization initially conduct the online or offline written test. through this test, the qualified candidates will need to face the interview. Finally, the applicants will be hired as per the organization norms. For more details check the notification of NCERT. For each and every examination, the admit card or hall ticket had below important details about the examination and applicant. Applicants will need to carry any identity from below mentioned along with admit card for security purpose at the exam center. 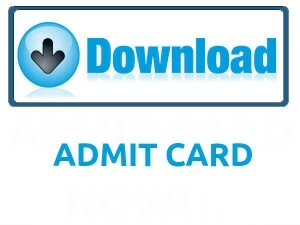 We have provided below steps to download the admit card without any errors. Because few applicants will get confused to download the hall ticket from the official website at NCERT. So everyone needs to follow them. Candidates will need to visit the NCERT official website, www.ncert.nic.in. Search for the NCERT admit card download link. Click on the link and enter required details like application no, date of birth etc. Submit the entered details and it displayed on the screen. Finally, submit the hall ticket at the exam center. In above article, we had provided the details of NCERT exam and admit card for various positions and hope it will more helpful to all applied candidates. Leave a comment on below comment box for more clarifications. Keep follow our website Sarkarirecruitment.com for more updates. Thank you.